Ok I’ll try to keep it short however there is so much to tell! The release of the official video is here ‘If I Go’ by the delightful and extremely talented ‘Ella Eyre’. Now you may know ‘Ella’ from the massive hit song where she featured on Rudimental 4th single release ‘Waiting All Night‘ it was at this point when I discovered and fell in love with Ella’s voice and rolling on from then I still do. I don’t want to bang on too much about the fact ‘Waiting All Night‘ was number one in the UK Singles Chart and UK Dance Chart April 2013 gaining huge recognition worldwide. Now I would rather focus on the fact she’s a strong independent artist all by herself and judging by her EP release 2013 ‘DEEPER’ she now stands tall in her own right. Lets not forget she’s about to perform at the UK’s Biggest festival ‘Glastonbury‘ on the ‘SILVER HAYES’ Stage, she’s rubbed shoulders with ‘Tinie Tempah‘ ‘Bastille‘ and ‘Naughty Boy‘. Ella Eyre feat with ‘Wiz Khalifa’ on Naughty Boy’s ‘Think About It‘ has racked up over 4,515,443 views and counting, the list goes on. At the BRIT AWARDS 2014 the song ‘Waiting All Night‘ won ‘British Single Of the Year‘ on the show there was a collaboration with ‘Bastille & Ella Eyre’ of the songs ‘Pompeii’ / ‘Waiting All Night‘ this reached an impressive position 21 in the UK Charts. I remember watching the BRITS and thinking wow and that outfit, HOT HOT HOT. Moving swiftly on. 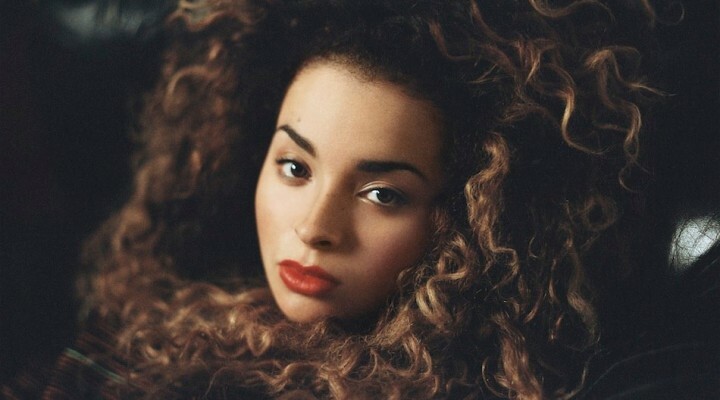 Ella Eyre based in London celebrated her 20th birthday in April 2014 and already has a record deal with ‘Virgin EMI’ and is going from strength to strength, I say that with a sincere heart. As some of you may know I’m not one for making comparisons however I want to say, if you like ‘Maverick Sabre‘ like I do, for his soulful voice, great songwriting and a high standard of good quality music I think you’ll agree ‘Ella Eyre’ is the female equivalent. Many say she’s Pop / R&B but I definitely want to add and emphasize she’s got ‘Soul’ too. After you check out her latest single ‘If I Go’ (available now) I think you’ll agree that her soul is radiant and the quality of her music is of maturity, yet I remind you it was only a little over 12 months since she stormed into the limelight and I have no doubt she’ll be here for a lot longer too! I was lucky enough to see her perform live as a solo artist and take photos and meet her after the show at ‘Wakestock‘ festival 2013. (this is also her trademark) a massive voice, a fresh new approach with an artistic style like no other, hitting the streets faster than ‘Banksy’. This year is going to be even bigger for Ella and if you’re looking for the summertime feel-good vibe then look no further. I can’t wait to get my hands on her debut album and tell you guys all about it and after being nominated at the ‘BRIT AWARDS’ as ‘Critics Choice‘ 2014 we know that can only mean one thing, her album will be out sometime this year (oh the excitement burns). (I just wish she’d follow me as promised on twitter @dwfmedia <—You never know guys she could be watching haha). This entry was posted in Reviews and tagged Deeper, Ella Eyre, Gravity, If I Go, Together, Waiting All Night. Bookmark the permalink.